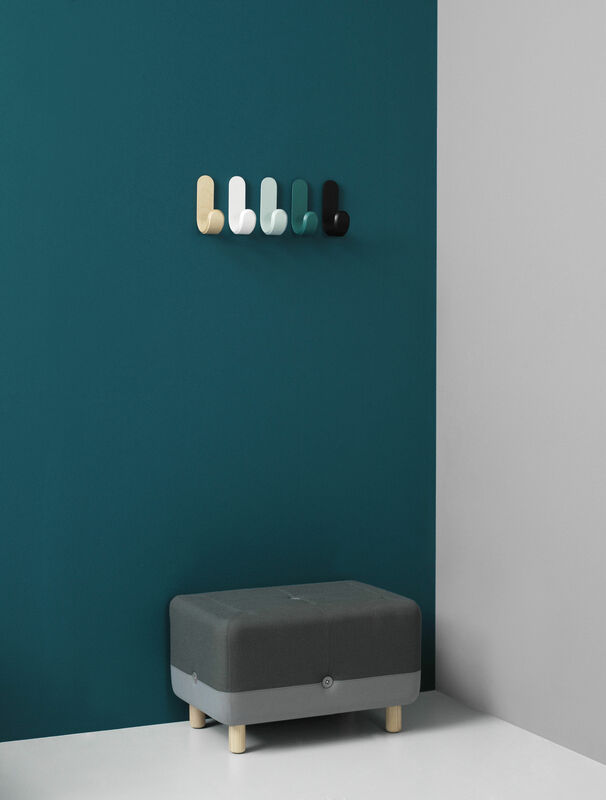 Curve is a wall hook in its most traditional and symbolic form. Shaped like a J, this wooden wall hook has a classic, uncomplicated look. The designer's clever interpretation of the iconic hook shape makes Curve intuitive in use. Its width and the defined texture of the wood add warmth, humor and personality to the design. Curve accommodates many kinds of items, such a clothes, bags and accessories in a stylish way. Let Curve add a pure, Scandinavian feel to you hallway décor with three classic neutral colors or one of the cool blue tones inspired by glacier and the sea. You can create a graphic design on your wall by mounting a single hook, several in a row or by placing them in a pattern. You can also make the kids happy with a Curve Hook in children's height.